Recently a patent was registered for newly-designed tights made of the materials used in manufacturing bulletproof vests. They are durable in grade enough for putting them on up to 50 times. The American textile company Sheerly Genius presented the most durable tights in the world. They are extremely durable due to the ballistic fibers used in manufacturing bulletproof vests. During testing people used all subjects causing damage of regular tights in everyday life, such as Velcro, rings, nails, wood splinters. The material used for tights production is 10 times stronger than steel. Its fibers do not break even under the strong stretching. One of the most urgent problems in the modern world is the growing number of waste. New tights will reduce its volume, and this is one of the major initiatives of the startup. The project’s developers explained on the Kickstarter crowdfunding service’s page that annually the total cost for tights purchase is about $8 billion in the world. You wear the regular tights once or twice and then threw them in the trash because the material they are made from tend to break quickly. Sheerly Genius pantyhose test results showed that they can be worn up to 50 times. Due to the special structure of the fibers, they are soft to the touch and demonstrate antibacterial protection. The Kickstarter service crowdfunding campaign will run until the end of March 2018, but the project has already raised the planned amount of funds. Now its creators aim to get 1 million dollars for further development. The first batch of tights can go on sale in November this year. The developers plan to modernize the equipment for collected funds. At the moment the prototypes tights are produced in the United States and Canada. 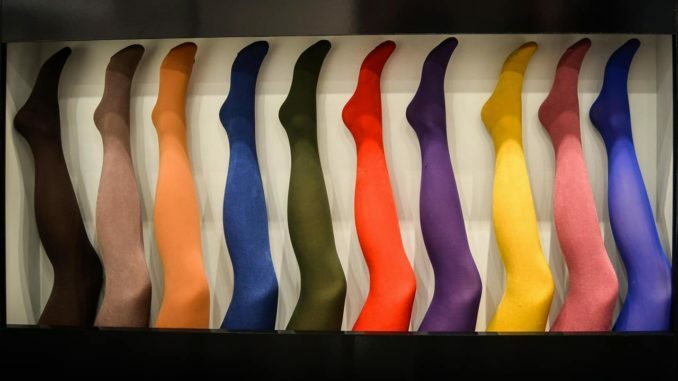 The company’s specialists are working on expanding the assortment, which currently includes black-colored tights only. Recently, scientists are actively working to create materials that will allow getting rid of disposable items (often made of plastic), almost immediately falling on the landfill of waste. Recently one company presented biodegradable pregnancy test approved by the FDA Department. The second company launched the straws from algae that can be eaten for its intended purpose use. Where else can you apply new materials to finally be done with a huge dump of plastic waste?